I repeat the word again and again, while most people switch off. Sometimes there is a low mumble of vague fained interest, with their silent words screaming bloody hippy, and yet I still can’t stop saying it. See I said it again. I say it again with joy and amazement. Fermentation, it’s not the dirty word that so many us think that it is, I promise, it really isn’t. On the contrary it’s a word that brings life and excitement to a conversation, just as it does to our palate and gut health. The joy of coming across another fermenter in everyday daily life and talk is beyond exciting. It’s a conversation of respect, excitement and happiness. One of curiosity and intrigue and a use of words that generally don’t get thrown around together in the after school pick up line. There’s an understanding and unparalleled enthusiasm to hear more. 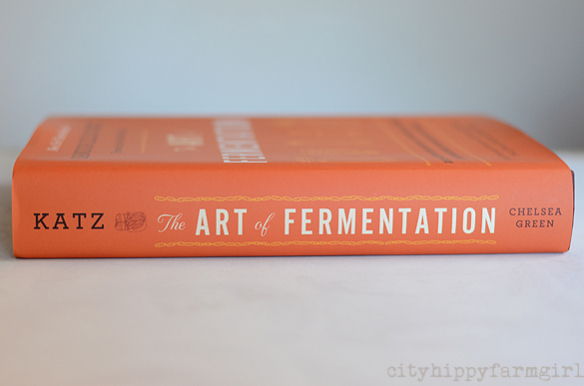 Ohhh, you’re talking FERMENTATION! Yes you are, yes you are! F#%* yeah! I’m a fermenter! This entry was posted in Connecting with Community, Food Glorious Food and tagged fermentation, pro biotics, sandor katz, the art of fermentation, water kefir, wild fermentation by cityhippyfarmgirl. Bookmark the permalink. I just knew it wasn’t going to be the word we all first thought it was. Hmm, might have to check out that book online, I’m fiddling with ideas of f-f-f-f-f-f-f-fermentation and d-d-d-d-d-d-dehydration. ohhhh dehydration is a good word too. I don’t have enough room for a dehydrator but often dream…. And proud of it! And so you should be:) People don’t understand it can help people with IBS, eczema common inflictions now a-days. We got his books; you were so lucky to meet him. Thanks for the giggles (i love your life stories) and the “helping hand” recipes. You do make me laugh 🙂 I feel the same way whenever I talk about hemp seeds…but the best way through is to embrace the terms (and practices) and be proud! Hahaaa…how f#^*+ting lovely. I must say, i can’t wait to get home and get stuck into some experimenting, gonna start with sourdoughs…do they count? F#%*! yes they do! Sourdough sits at the top of fermenting list. Loved this! And I’m super keen to try your ginger beer recipe, I can’t seem to find one that’s gingery enough for me in the shops. Great photography as well. I’m just not into it. I know its healthy and don’t have a problem with other people doing it, but it doesn’t push my buttons in a good way. I’m one of those nose wrinklers! I am flat out on the farm today, no time to be reading blogs. But the title of your blog drew me in before i had a chance to stop myself. Yes , fermentation great for the sour dough….my experiences with the pickles and the other stuff not so good…it smelt okay , it looked okay…but every bite made me wonder if I was catching some exotic disease. I made my husband eat kimchi for a week to see if it made him sick…it didn’t – but I still couldn’t make myself eat it. I have to get past ‘the idea of eating something fermented ‘ before I can go any further. Did you feel the same when you started? I think I still feel a bit the same when it’s something new Kim. That first mouthful is a little tentative but after that, (I obviously haven’t keeled over) it’s fine. Trust your nose. And I mean really trust it. If it smells ok, it’s probably awesome. Just try at one thing that you actually really like to eat or drink and go from there.